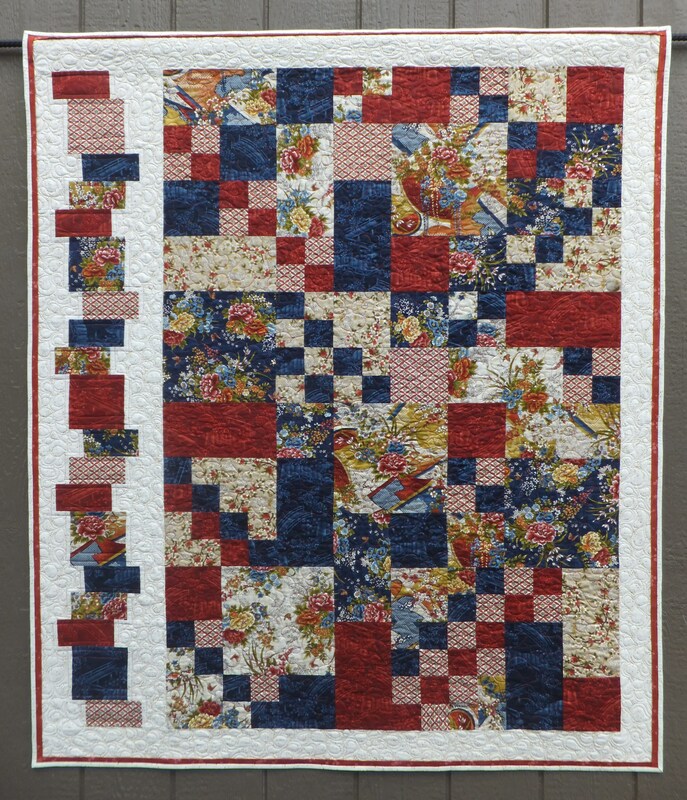 This pieced quilt is only made up of squares and rectangles. This was made from the Japanese Garden fabric line by E E Schenck but can easily be made with batiks or a different fabric line. The stacked squares and rectangles at the side gives it an unusual asymmetrical look. 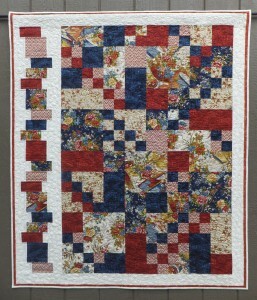 This entry was posted in Pieced Quilts and tagged Confident Beginner by . Bookmark the permalink.